A new service designed to help match farmers and growers who urgently need water with neighbouring farm businesses who have a surplus has been launched by the NFU. The Water Bank follows an appeal by the NFU to the Environment Agency (EA) at last week’s Agricultural Drought Summit for more flexibility in the abstraction licensing system. The EA has agreed to consider and approve wherever possible fast-track, short-term trades of water to help farmers cope with pressures on food production caused by the unprecedented spell of hot, dry weather. 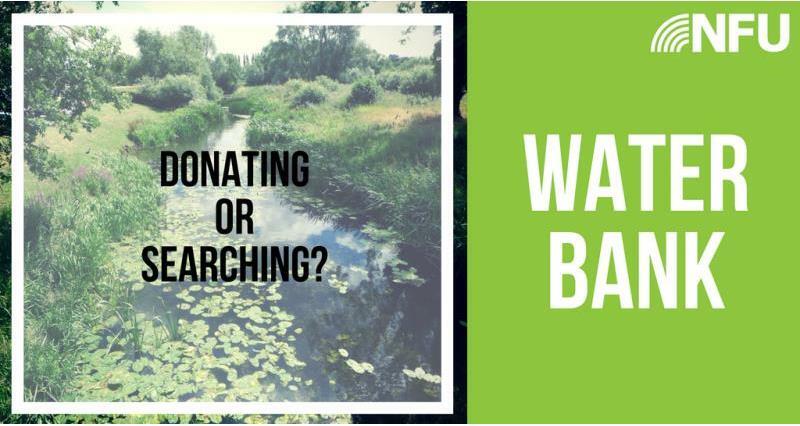 Water trading will be localised with donors and recipients needing to operate within the same hydrological unit meaning the same river or (part of) groundwater aquifer. NFU Vice President Stuart Roberts said the new service will help unlock farmers’ access to much-needed water to help produce the nation’s food. “The NFU made it abundantly clear at the drought summit that many farming sectors are being impacted by challenges around irrigation and water shortage. “We emphasised to the EA that there is a narrow window of opportunity for local and rapid decision-making for the remainder of the irrigation season. We’re pleased that the EA has taken our concerns on board.